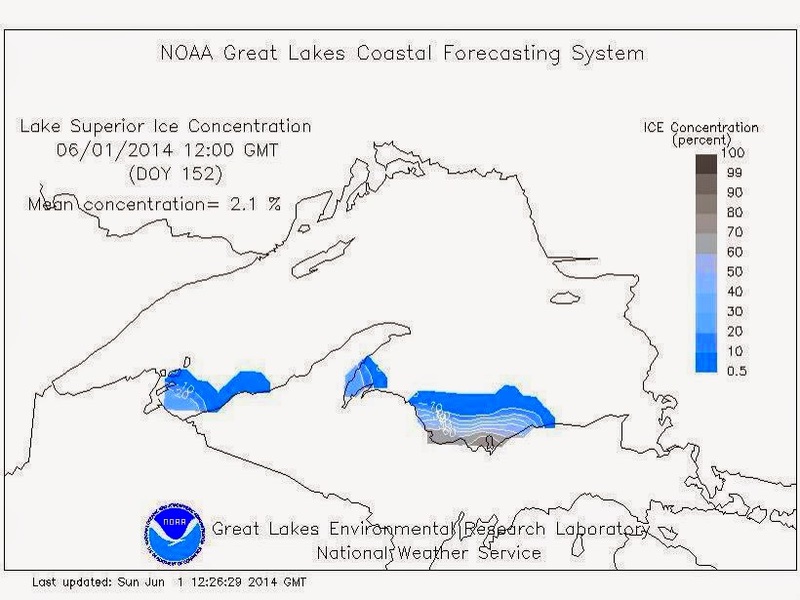 On the right is a computer model forecast of ice concentration over Lake Superior. It shows the continuation of ice cover or parts of the southern shore into the weekend, which will likely break more ice cover records after one of the coldest winter off all time across parts of the Midwest this year. 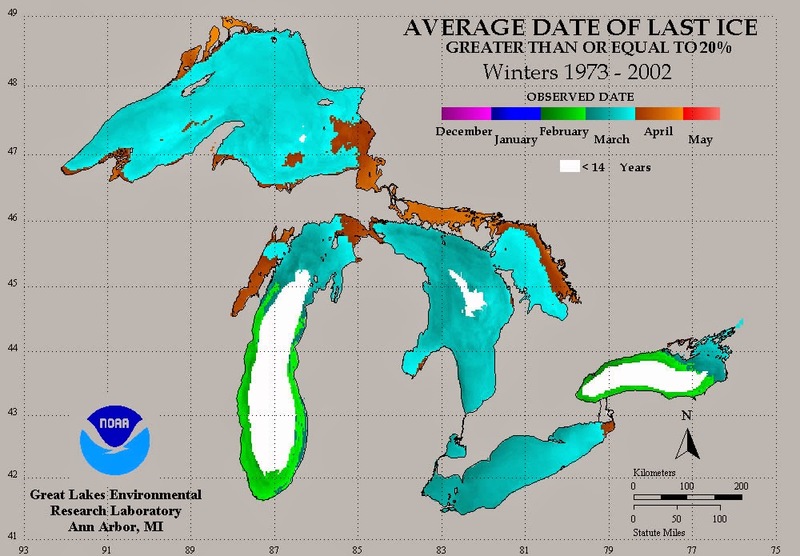 For a perspective the map below is the average date of the last ice cover over the Great Lakes, notice how March into early April is usually the last date of ice cover, not June!